As published in Medium in March 2017. To see article, click here. 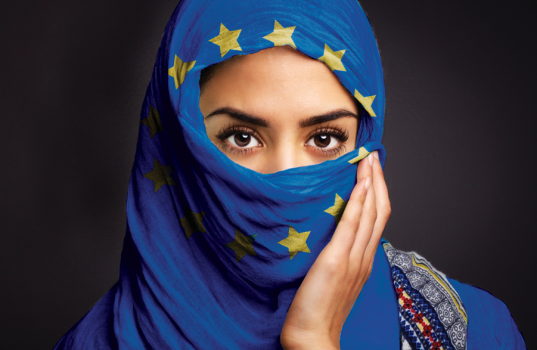 Yesterday, the European Court of Justice (ECJ) passed a law to support overall ban of the Muslim headscarf (properly know as the hijab) from being worn in the workplace. The reason, according to the EU, was to support the overall removal of religious symbols from the European workspace. However, such a move only demonstrates a clear discriminatory act made by the EU to continue to marginalize an already heavily discriminated group of people within Europe. Muslims in Europe are already living on the edge with the rise of Islamophobia continuing in the continent as evident with the rise of right-winged politicians in the Netherlands, France, Hungry and Austria. Supporting such a law can only promote stereotypes and views perpetuated by the media and further extremism within the continent, thus giving feed to groups such as ISIS and Al-Qaeda. I have experienced racism towards Arabs in Europe firsthand during my years living in Paris where I lived in the 18th arrondissement, notorious for its iconic sites such as the Moulin Rouge and Sacre-Coeur with the former homes of famed artists such as Picasso. However for the Parisian resident, the 18th is also home to neighbourhoods such as La Chapelle, Barbès Rochechouart and my own, Marx Dormoy, on the northern end of the 12th line of the Parisian metro, which is home to a large population on French Arabs predominately from Algeria and Morocco. In my neighbourhood, both the 14th of July (France’s Bastille Day) and the 5th of July (Algerian Independence) were celebrated with complete enthusiasm and common fervor. Both French pot-au-feu or Algerian chorba were equally found on my street and Moroccan rai music blasted from apartment buildings each Saturday morning for the weekly clean. It was in this neighbourhood where I was robbed and attacked for being a “sale beur” (dirty Arab) — my Italian-Dominican features were mistaken for middle eastern continuously while in France. It was working in Paris that I was rejected by potential employers for discreetly telling me they couldn’t hire another person with an Arab face. It was in this neighbourhood that some children spat at me and called me a terrorist. But it was also in this place that I befriended my neighbours and colleagues, learning of their struggles to find a balance between being Muslim and French. Struggles that included changing Arab sounding names such as Amina or Mohammed to Françoise and Jean-Marc. Struggles that included not speaking Arabic in open public or Muslim mothers not being permitted to chaperone children on school trips because they wore a hijab — illegal in French public institutions. It’s this experience that helped me realise the growing marginalisation of Muslims, particularly in countries like France who try to explain that under the name of laïcité (an extreme form of French secularism) it was protecting French national identity and subsequently being tolerant. But how can suppression of expression and freedom of religion constitute for tolerance? As Amnesty International mentions, such a move leaves the back door wide and open to prejudice in Europe. And the move by the ECJ is in complete contradiction with the EU Charter of Fundamental rights (adopted into force with Treaty of Lisbon which also paves way for actions such as Brexit) which supports freedom of religion and expression both in public and private — for both non-Muslim and Muslim (a total of 19 million people — 6% of European population according to Pew Research Centre) EU citizens. These actions by the ECJ do more harm to Europe then good by building up increasing frustrations among the Muslim population and leading them to resort to extremism. We see it happening already. According to CBS News, the majority of ISIS fighters come from Europe, with an increasing number from other countries such as Denmark, Belgium, the Netherlands and France. The terrorist attacks in Paris back in November 2015 were preformed mainly by radicalised Muslim Europeans (Belgium and France) who came from neighbourhoods that were marginalised and fertile ground for ISIS who has notoriously worked on these areas to recruit new members in the effort to establish the “caliphate”.